The best value music and video streamers revealed | What Hi-Fi? Streaming technology has matured to deliver a combination of quality, stability and ease of use. 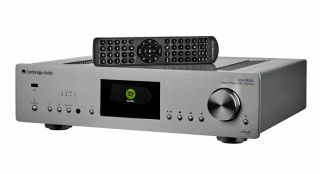 Our 2016 Awards are a mix of the established and the new, with the Product Of The Year going to Cambridge Audio’s Azur 851N. Cambridge Audio is no stranger to winning our top Award. The company won last year’s title with the excellent CXN. But this year’s winner builds on the junior product in most respects. At £1200, it’s pricier, but that premium buys an awful lot. The 851N is even better made, combining solidity with a level of finish that wouldn’t be out of place on products costing twice as much. The company’s app – an essential part of the experience for any streamer – works well, and proves stable in use. But most importantly, the Azur 851N sounds terrific, offering gains in transparency, detail resolution and dynamics over its cheaper sibling, as well as every price rival we’ve heard. It’s a brilliant all-round performance, and one that fully deserves the Product of the Year title. Our sub-£100 winner proves you don’t need to spend thousands to enjoy the capabilities of a streamer. Google’s Chromecast Audio costs just £30, and brings wireless streaming to traditional (off-line) hi-fi. The premise here is essentially the same as the other Chromecasts. The device connects to your wi-fi network, streams directly from the Internet and is controlled by smartphones, tablets and computers. So where does the music come from? You’ll need a Cast-compatible app. There are many free and subscription options including Spotify, Deezer, Rdio, TuneIn Radio, NPR and Google Play Music. BBC Radio iPlayer support has been added recently. For many people who want to get into network streaming this is the ideal toe-dipping product. It opens up a whole world of new listening possibilities, all for the price of a decent family take-away. That’s great value in our book. The next step up from the Google Chromecast Audio is the £380 Pioneer N-50A - the winner of our £100-£500 Award. This comes in a more traditional box than the Chromecast and has more of an emphasis on sound quality. It’s well equipped with excellent file compatibility, a full range of digital connections as well as having software such as Spotify Connect built-in. But what really impresses us is how it sounds: the top end sparkles (it is confident and controlled, but never sounds hard), while the midrange is poised and detailed. It’s a toe-tapping performance, rhythmically adept and fluidly dynamic. It’s a superb product for the money. Additional Award-winners include the £2245 Naim ND5 XS, which picks up our premium streamer title thanks to a brilliant combination of class-leading sound and classy build, the £700 Cambridge CXN – essentially a cheaper, pared-back 851N – and for video buffs, the Amazon Fire TV. This £80 video streamer is an easy way to into a whole world of video content including 4K material. It’s a fine buy.